This is a half day tour, typically offered from 9AM – 12PM or 2PM – 5PM. Please note, the tour route and sights may vary depending on the time of year and weather conditions. It is always our goal to provide you with the most interesting adventure possible. Our first stop will be in the International Rose Test Garden, earning Portland one of its proud titles as “City of Roses.” As the oldest official continually running public rose test garden in the United States, it features over 650 unique rose varieties across 10,000 bushes. During the winter season, when the rose garden is not at its peak, we will substitute this stop with a stop at the Hoyt Arboretum, eatures over 650 unique rose varieties across 10,000 busheswhere we will learn about the trees and plants of the Pacific Northwest! 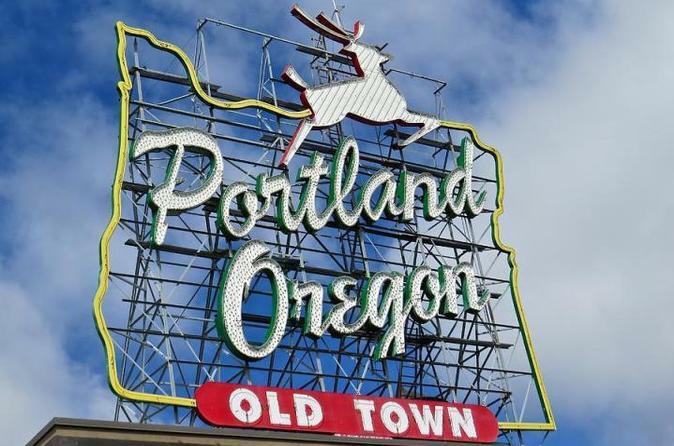 From here, we’ll explore more of Portland’s most famous neighborhoods, including Nob Hill and NW 23rd street, the Pearl district (where we will find another Portland landmark: Powell’s Books, the world’s largest new and used book store!) and the historic Chinatown district.